NEW BOOK ON TIMBER FRAMES IN PUBLIC SPACES | Lancaster County Timber Frames, Inc.
We’re proud to announce the forthcoming publication of a new book by Tony Zaya and Tim Diener titled Heavy Timber Structures, Creating Comfort in Public Spaces. 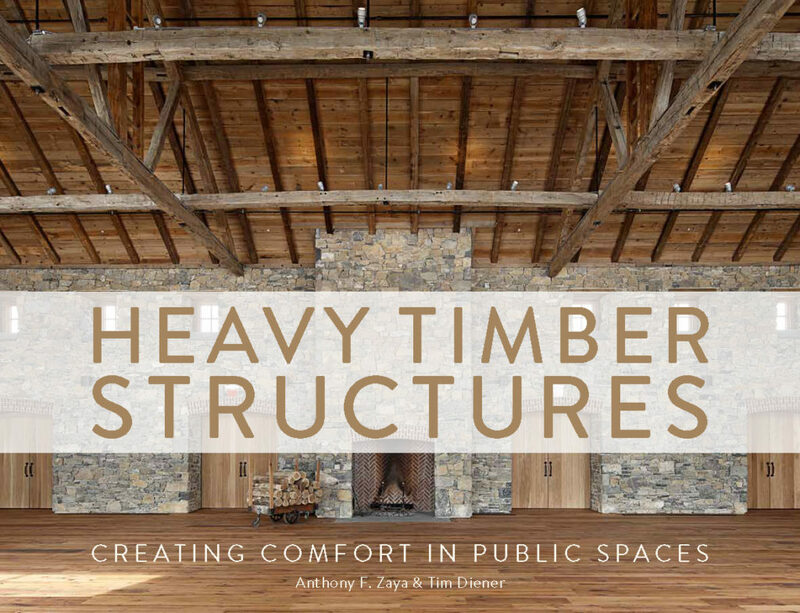 Although there is no shortage of books on many aspects of timber framing – from how-to manuals to glossy interior design compendia – to our knowledge no book has ever explored the applications of heavy timber construction in commercial and public spaces. This book attempts to remedy that lack. 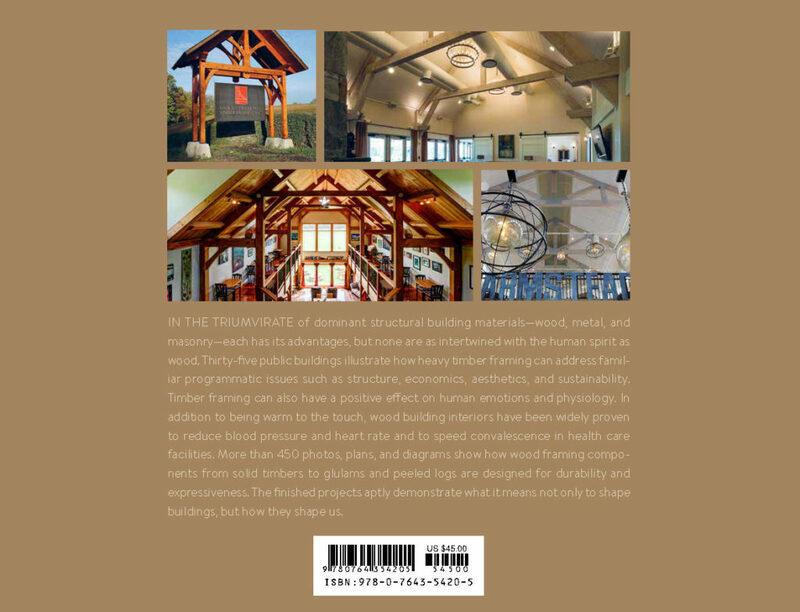 The book is being published by Schiffer Publishing, Ltd. of Atglen, Pennsylvania, and is currently in the final stages of design. It is scheduled to appear in stores in December 2017. Below are previews of the book’s front and back covers.